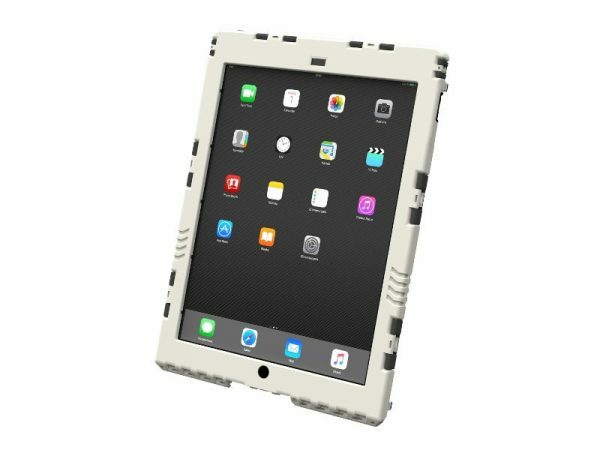 The aiShell™ Pro 12.9 for the largest iPad 12.9″ (iPad Pro 12.9 “) from Apple is a reliable industrial enclosures, which can of course also be used for private use. They are watertight and impact resistant. Virtually all functions, e.g. Buttons and cameras can also be used from the outside. 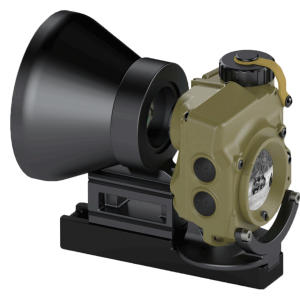 The only housing system with charging function under water. 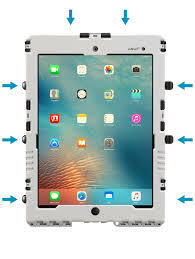 The iPad is nevertheless to be inserted within seconds and can also be taken again. The ergonomically shaped back makes the case much safer in the hand than other products. For example, the rubber anti-slip feet can be attached there. They enable a stable standing position of the iPad. On almost any surface, the feet offer a secure hold, making the handling of the device more comfortable. Instead of the anti-slip feet, the pen holders of the aiShell™ can also be inserted, which are intended for the Apple Pencil. This can be easily fixed and removed – it is ideal for use with gloves. All cases in the aiShell™ series are waterproof and impact-resistant. Despite this, the iPad can still be inserted and removed again in only a matter of seconds. 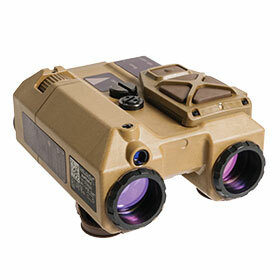 Virtually all functionality, such as buttons and cameras, can also be used from the outside. 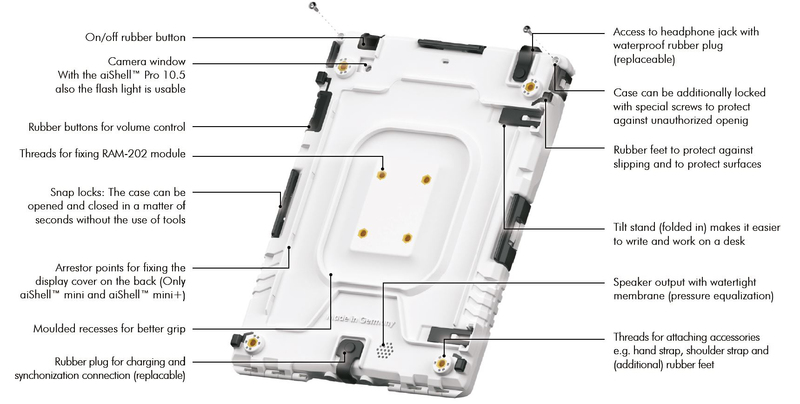 It is the only case system that allows charging even under water. Because of the back’s ergonomic design, it can be held much more securely in the hand than other products. On the back it is possible to attach a large variety of accessories in various positions – some simultaneously – such as hand straps or shoulder straps. 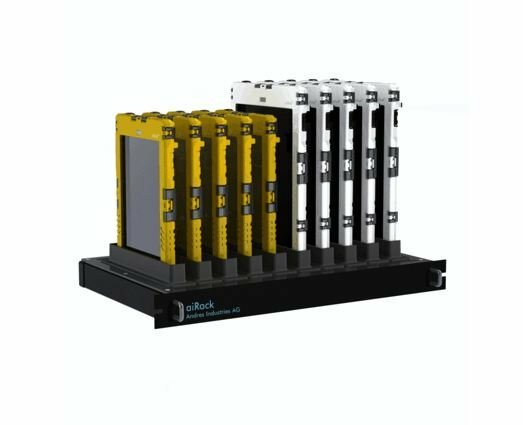 This allows it to be specifically adapted to the needs of the individual user. The camera can still be used through a window. The fold-out support allows it to be placed in an ergonomic position for typing. Sealing plugs are fastened on the back, and can be replaced if necessary. 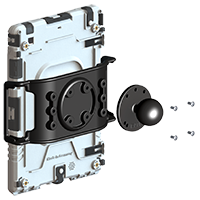 With the eight sprue nuts recessed on the rear, the aiShell™ housing can be screwed on directly anywhere, for example. 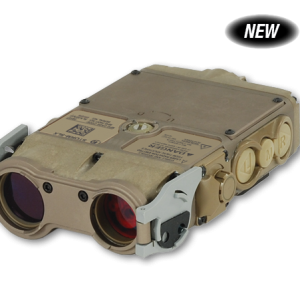 A better alternative is to use a RAM-202 module. 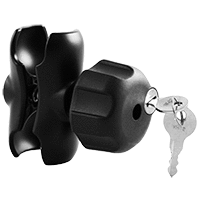 This allows a direct compatibility to the successful RAM mount system, with which you can attach the aiShell to really everything safely and permanently. If only a short-term mounting is desired, e.g. when riding a motorbike or sailing, the use of the Quicksnapper is recommended. The Car Cradle is the right choice for professional users. 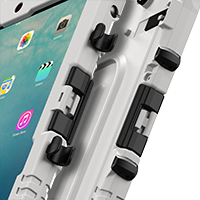 To make the aiShell case suitable for professional use, a variety of options are available to make charging convenient, even in an enclosed case. 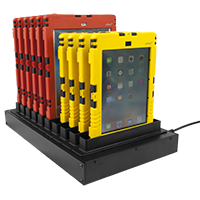 For most users, simply charging the iPad inside the case using Apple’s standard Lightning cable is usually sufficient. 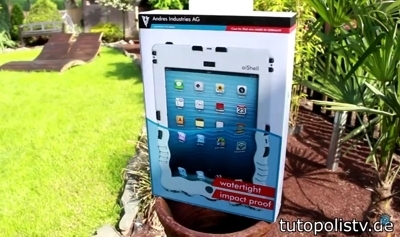 To do this, simply open the supplied waterproof plug, and plug in the cable to charge the iPad. 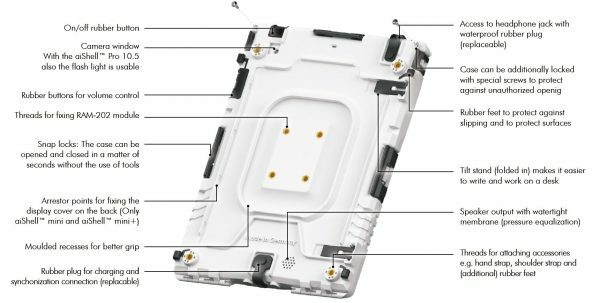 With special screws, the cases of the aiShell™ series can be protected against unauthorized opening. 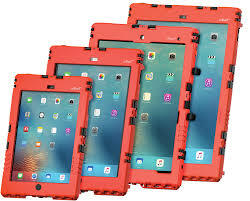 This means that the Apple iPad cannot be removed just by opening the clips. 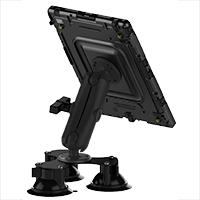 If the RAM Mount system is used, the entire iPad can then also be mounted in a way that enables it to be locked. We will be happy to advise you if you would like more information about this. aiShell™ cases are hand-crafted in Berlin. That’s why we are capable of producing custom colors and logo prints, even at low quantities.